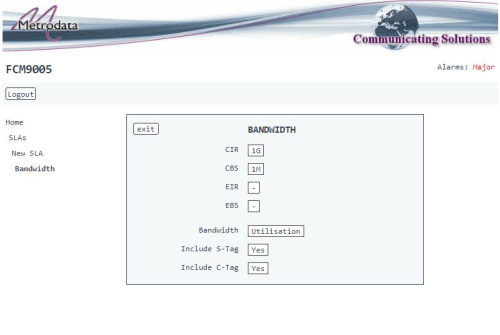 Ethernet Demarcation Devices are deployed by Telecoms Carriers or Ethernet Service Providers, at the point of connection of Customer equipment to Ethernet Wide-Area Network (WAN) services. Ethernet Demarcation Device are used for Service configuration and Management, and also for verifcation of the performance characteristics of WAN services. Circuit activation testing as the words suggest takes place when a new circuit is installed to verify that you are getting what you ordered and that it is in full working order before you accept it from your supplier. But what sort of things does it check? How does knowing that help? Am I able to send traffic at the data rate I expect and what will happen should there be any bursts of data? How much data if any is being retransmitted? What if any compensation action you need to take in connected equipment? Are you going to have issues with your voice or video services? Over time how much have you been able to use the link, clearly not something that is a direct result of the activation test but it is the bench mark from where you start measuring. 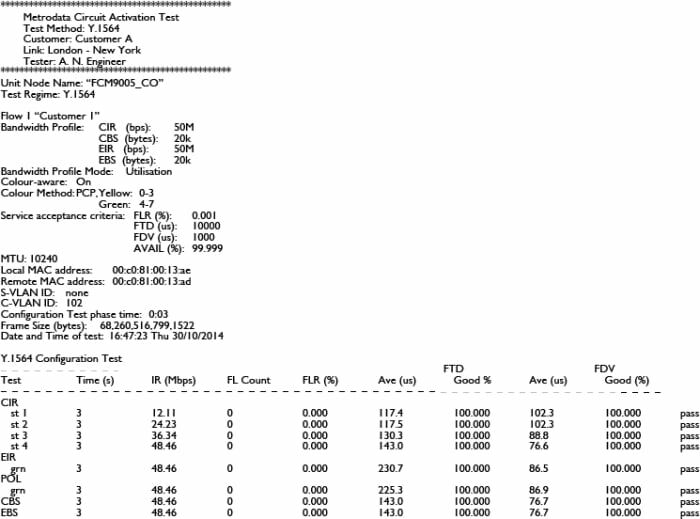 Ethernet Demarcation Devicess (EDD's) deployed on each circuit make this a simple task using the Y.1564 profile test below for testing against a pre-defined 'Committed Information Rate' (or 'CIR'), typically part of an SLA definition. Testing against the SLA in this way produces results much faster, typically the test sequence involves traffic generation increasing over a minimal number of increments up to the CIR, for a given packet size. Provided that the CIR is met, the test proceeds to record characteristics similar to those of the RFC2544 test. The Y.1564 test supports an EMIX (Ethernet Mix) of different packet sizes in order to provide a full qualification of the Network service. Y.1564 test procedures are 'agnostic' to packet type and addressing. 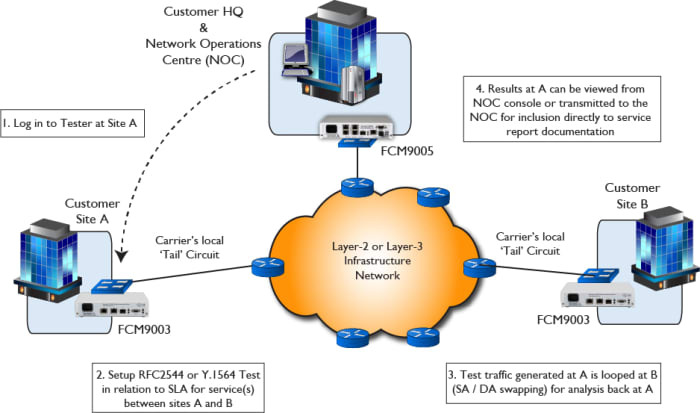 Consequently, by using a tester capable of supporting both Ethernet MAC addressing and IP addressing, then these tests can be conducted across either Layer-2 or layer-3 infrastructures. 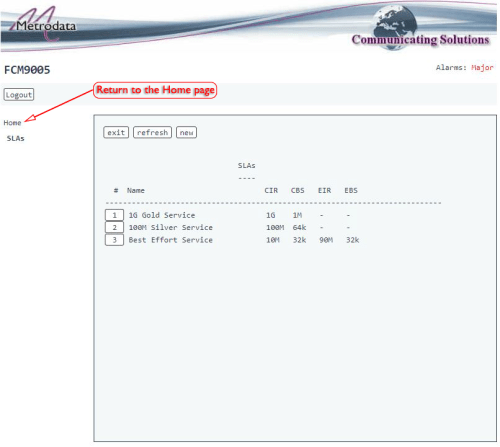 Once a test has run, the instigating EDD stores the test result as a report file, which can be automatically uploaded by File Transfer to a Network Management Platform, for incorporation directly into a Carrier’s Birth Certificate report for the service. 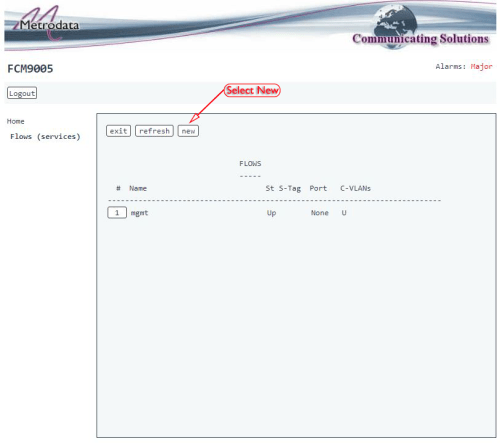 It is alternatively possible to upload of the report to a Management Console (sent as a simple ‘flat’ text file for maximum flexibility). The whole CAT process is illustrated below, showing a combination of MetroCONNECT FCM9003 and FCM9005 EDD units. Software Defined Networking (SDN) is the use of software applications to control or program the network. The network operators can then manage the entire network consistently and holistically, regardless of who is supplying the network equipment. 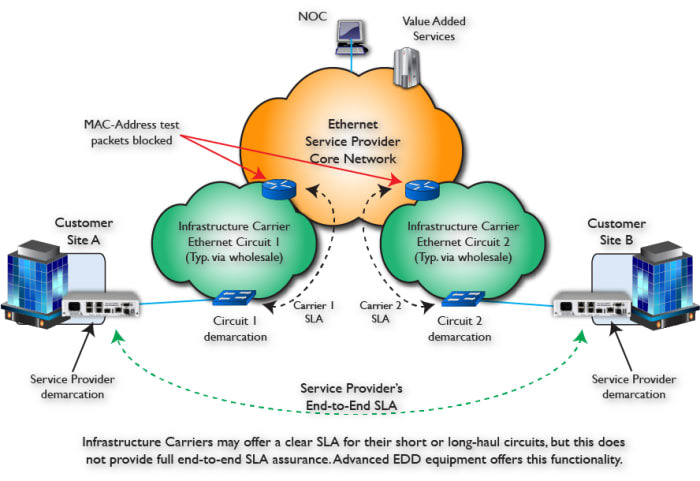 But what can SDN do for me? The concept is to configure the network through software applications using open API’s, removing manual programming of devices. This will open the traditionally closed network platforms (due to proprietary approaches and protocols) with the implementation of a common SDN control layer. The intention is to open the entire network and all its devices to a consistent control layer regardless of technology. 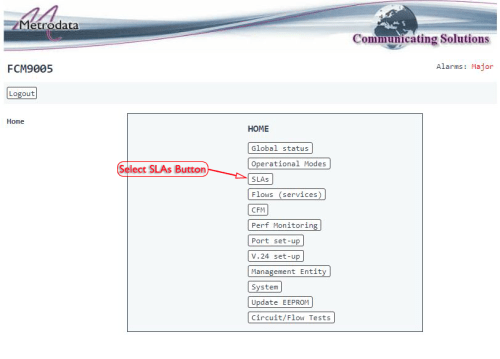 A key advantage of SDN technology is the ability for network operators to write programs that utilize SDN APIs and give applications control over network behaviour. 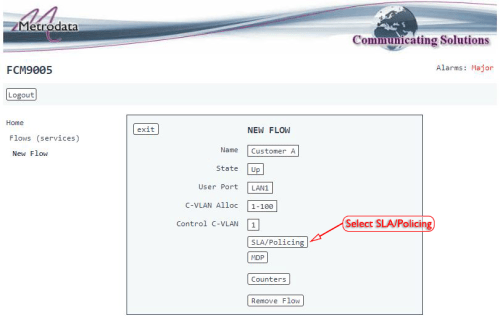 SDN allows users to develop network-aware applications, intelligently monitor network conditions, and automatically adapt the network configuration as needed. The use of an open control layer should allow you to choose the best equipment for your needs without being concerned about its backwards (control level) compatibility with equipment you already have. This should promote the use of multi-vendor interoperability to include the control level. SDN enables networks to be controlled by the software that resides beyond the networking devices that provide physical connectivity. 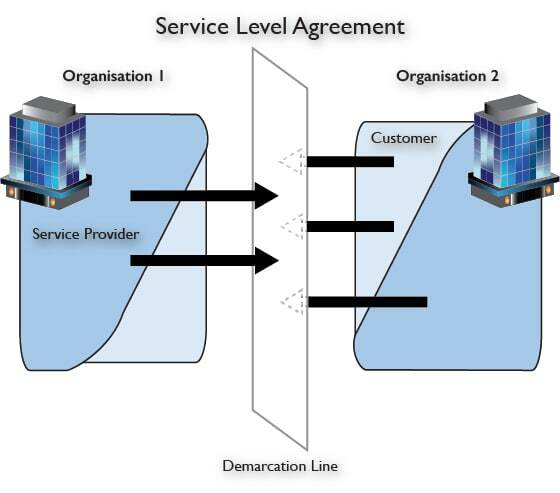 As a result, network operators can tailor how their networks support new services, and even individual customers. By decoupling the hardware from the software, operators can introduce innovative, differentiated new services free from the constraints of closed and proprietary platforms. 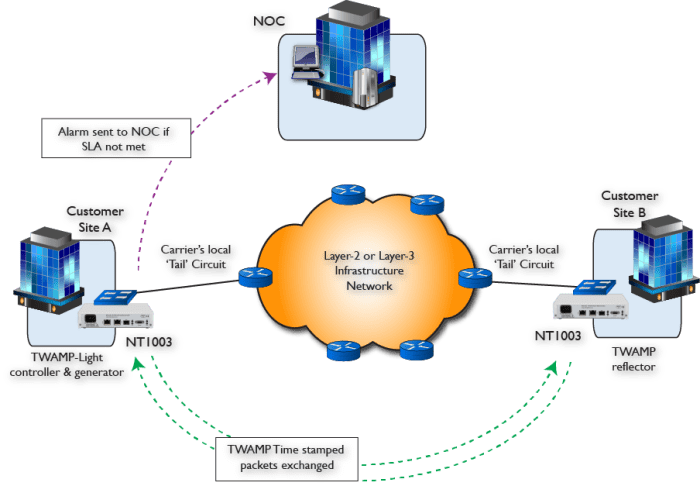 Services and applications running on SDN technology are separated from the underlying technologies and hardware that provide physical connectivity from network control. Applications will interact with the network through APIs, instead of management interfaces tightly coupled to the hardware. 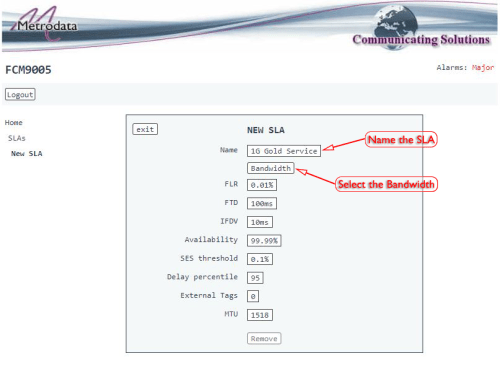 Below, in just eight screens (once logged via your web browser) you can create and configure an SLA for a service. 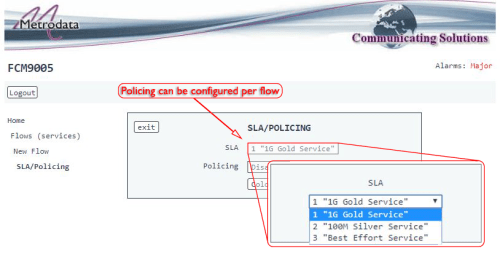 Comprehensive alarming with support for SNMP 'Trap' alerts to NOC platform(s). Metrodata’s family of MetroCONNECT EDD products currently include the FCM9003, the FCM9005 and the FCM10G05. 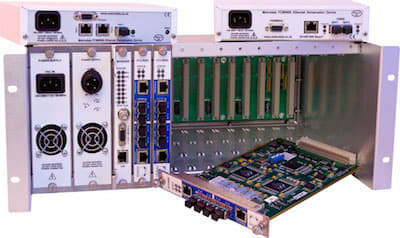 Developed to the same Carrier-quality criteria born of over 25 years of supply to the Telecoms Industry, and with a heritage from Metrodata's well-established MetroCONNECT Ethernet Extension & Service Delivery product line, the MetroCONNECT EDD products offer advanced custom-hardware based facilities for comprehensive services for both Layer-2 (Ethernet Switched) and Layer-3 (IP Routed) network infrastructures.